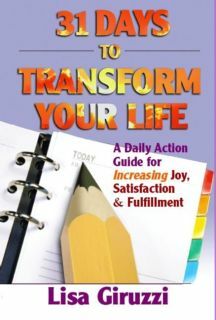 In 31 Days to Transform Your Life, Lisa Giruzzi creates a simple yet powerful Action Guide to bring your life into alignment with your true self. 31 Days is unique in that Giruzzi doesn’t just give you a pathway to get somewhere, she gives you a way to walk your path … and walk it powerfully with conviction and confidence. What great things would you achieve if you were unstoppable? What would be possible if you knew the exact formula for achieving greater success? This provocative and life-altering program will change the way you think about change. The DVD and Action Guide take you on a transformational journey where you will discover new ways of thinking and new openings for action. Your natural creativity, innovation and enthusiasm will be unleashed leading to whole new possibilities. Designed in short thought-provoking segments, Bringing Out the Best in Your Employees details a revolutionary approach that will transform the way managers communicate with employees. Using the broadest possible definition, Lisa Giruzzi explains how we communicate and receive communication through everything we experience. Our mind is constantly interpreting what we are experiencing, and constantly making meaning of the world it sees. Consequently, everything is in the realm of communication. Challenging, innovative, and highly energizing, the book’s fresh approach is guaranteed to surpass all expectations when readers discover the key elements necessary to ignite and sustain a positive change within their company. Unable to Bring Lisa In To Train Your Managers? Based on the principles of communication and performance taught inThe Ultimate Communication Program and condensed onto six CD’s,this interactive audio training program will train your managers to Bring Out The Best in their employees. Your managers will learn the essential elements necessary to drive performance while at the same time be able to engage, empower and develop their employees. While nothing truly replaces live training, this program is as close as you will get. The Audio Training Program contains six CD’s jam packed with information and exercises designed to immediately impact performance, an Action Guide with easy to follow instructions and a transcript of the entire course for easy reference.